Conservative since 1998. Does not rap or have tattoos. Has good hair. NOTE: If you're so inclined, feel free to hit one of the Donation Buttons at the bottom! In an interesting post where RH—a navy man—tells of an exercise in which he participated, he informs us of something equally interesting. The Pentagon recently released detailed guidance that allows U.S. military personnel to carry privately owned, concealed firearms on base, a move that the Army's service chief argued against publicly. "Arming and the Use of Force," a Nov. 18 Defense Department directive approved by Deputy Secretary of Defense Robert Work, lays out the policy and standards that allow DoD personnel to carry firearms and employ deadly force while performing official duties. Pertinent guidance and policy therein, naturally. State laws taken into consideration. The NDAA includes an NRA-backed provision requiring the Secretary of Defense to establish a process for commanders at military bases, reserve centers, and recruiting centers to allow service members assigned to that base or facility to carry a firearm. Here’s the part I find…telling. Until now, DoD personnel have not been authorized to carry personal firearms on military installations, a policy that has come under scrutiny in the wake of "active-shooter" attacks at U.S. military bases resulting in the deaths of service members. The phrase "until now" implies that military personnel have never been allowed to carry personal firearms on-base. That is false. Sometimes the head of the other party will get it right, even on accident. And the reverse is true. I recall that, in the aftermath of Fort Hood, many civilians were shock to discover that there was a ban on carrying personal firearms into a military base. A stateside military base is considered a home and those allowed to enter that home are considered family. On a military base, there are no drive-by shootings, no burglaries, no carjackings, no muggings, etc. [I retired in 2003 and am told that, these days, crime and criminals--not to mention, jihadis--are creeping in.] In that area of strictly-regulated entry, everyone is considered your brother, your sister or at least your friend even if you’ve never met them. And that strict regulation is backed up by personnel assigned and trained to protect that area of land: a military police force and/or a DOD Police Force--armed of course. And that area is patrolled by these forces, along with being surrounded by fencing topped with barbed wire. So when I hear civilians and even some military members express outrage that no one other than law enforcement was armed when the Fort Hood Soldier of Allah attacked, I submit that they are reacting from anger rather than thinking through the implications of the necessity of having every military member go armed on a domestic military base. It would be like having to wear a sidearm in your house to defend yourself against your parents, your spouse, your siblings and your children. If you can’t trust your family, you can trust no one. 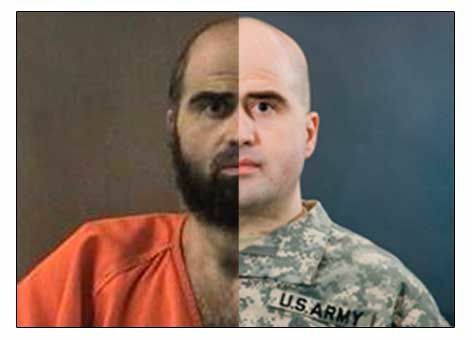 And, outside of the fourteen murdered, that is the most galling aspect of Major Nidal Malik Hasan’s jihad against those wearing the same uniform as he. Those angry at the fact that no one was armed other than the fort’s law enforcement personnel either don’t know or forget that there are various types of adhesive that make the United States Military the most fearsome force in the world. Many of the angry have learned to take treachery for granted. But we—military members and veterans—do not. If we must arm soldiers, sailors, airmen and marines against the potential betrayal of other soldiers, sailors, airmen and marines then I would say that one of our enemies’ goals has been reached: a weakening of the bonds which exist between brothers and sisters wearing the uniform. It still may be necessary to do it, but something essential will have been tainted if not lost. The concepts of loyalty, trust and an oath-keeping brotherhood have been severely damaged by Major Hasan and those above him in his chain of command. Yes, the military is reverting to its former policy. It's a good thing, ultimately, but there will be costs. And as I said seven years, ago, that cost is trusting in your brother. I pray the the price is not too high. Every Tuesday and Saturday, I blog at the award-winning DaTechGuyBlog. Latest post: Don't You Love Him as he's Walking Out the Door? This is my JOB. It pays for: A Roof Over My Head, the writing of My Next Book(s), and Utilities--especially Internet and COFFEE! Yes, coffee is a utility. All of these items would make my home life easier! 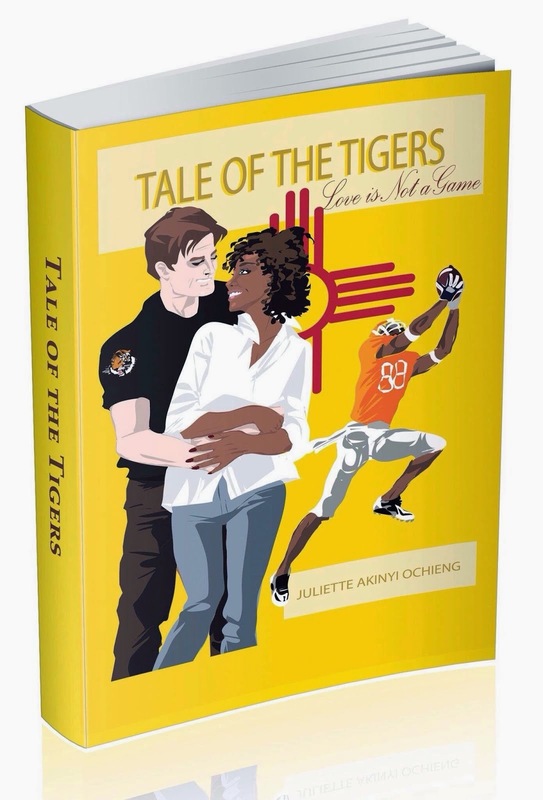 Get a Paperback Copy of My Novel! My old blog is located here. "I'm So Afraid of Violent Trump That I'm Going to Break Things, Burn Things, and Beat People"
Copyright © 2013-2019 by Juliette Akinyi Ochieng. Awesome Inc. theme. Powered by Blogger.